MacKenzie Funeral Chapel was established in Prince Albert in 1935 by Kenneth R. MacKenzie. The original funeral home was located next door to its present location at 130 – 9th Street East. 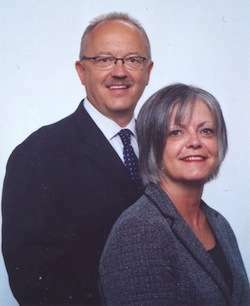 In July 2009, long time employees of MacKenzie Funeral Chapel, Brian and Bev Stobbs, purchased MacKenzie Funeral Chapel along with MacKenzie Crematorium and returned them to be locally owned and operated funeral services. Brian and Bev Stobbs have a combined 30 years’ experience in the funeral industry. MacKenzie Funeral Chapel serves Prince Albert and surrounding area with its main office (MacKenzie Funeral Chapel), and its crematorium (MacKenzie Crematorium) located within Prince Albert, along with an office in Birch Hills (Birch Hills Funeral Home). At MacKenzie Funeral Chapel we offer a competitive range of funeral services including traditional and cremation services. We also provide our families with cemetery property, monuments as well as pre-arranged and pre-paid funerals. MacKenzie Funeral Chapel provides 24 hour service to all of our clients. Our professional and experienced staff can assist with all of your funeral needs with an emphasis on compassion, caring and affordability.